If you’ve never ridden the London Underground, you may not be familiar with this phrase. It’s repeated over train platform PA systems at regular intervals, urging passengers to be mindful of the void between platform and train while loading and unloading. I’ve fallen into the gap, the one between spiritual connection and day-to-day life, disconnected from the things and activities I find pleasurable and meaningful, from the people who bring smiles to my face and make my heart race. Much as I mind being in the gap, being here is a choice, one made from moment to moment, made so frequently it becomes easy, a default, not just a pattern but a way of being. Minding the gap does nothing to promote an escape. So I’m not going to do that. Writing about how I’ve fallen in, why I continue to make the choices to remain here — it’s part of the pattern keeping me here. Minding the gap is the story I wish to end. Instead, I will work on being mindful, mind The Way, mind the Dao. A friend of mine keeps a Joy Jar, a pickle jar into which he stuffs slips of paper, each with a note about some event or person or insight or observation or anything which brought a little joy or gratitude to his day. 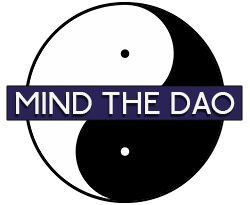 This blog is going to be a little like that: observations and insights encountered while minding the Dao, a collection of mindful moments to which I’ll add thoughts about how and why they’re important to my following The Way.